Things were looking bleak in Houston. The Rockets lost James Harden to a hamstring injury after a loss to the LA Clippers. Without their MVP, the Rockets fell for three straight games, making it four games in a row. Houston was at 1-5, near the bottom of the standings in the West. They needed a win. Bad. 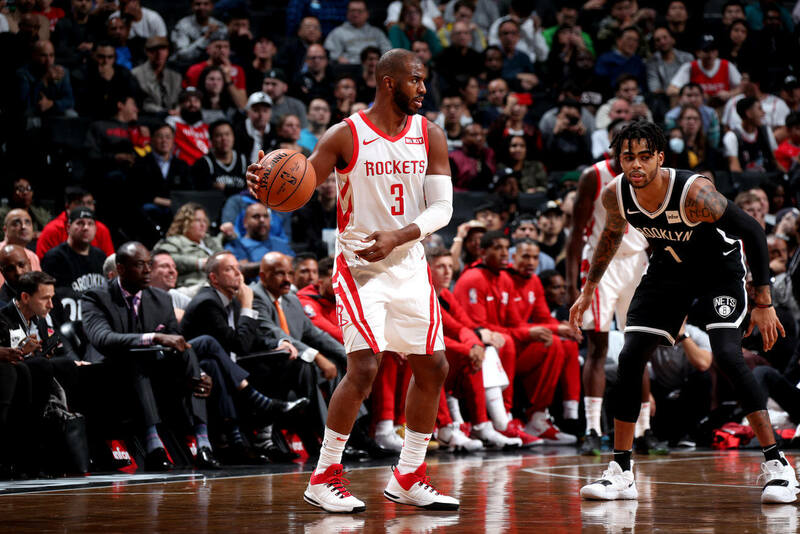 Against the Brooklyn Nets, the Rockets finally broke their losing streak. James Harden was still out to it was up to back court partner Chris Paul to manage the team without him. Paul put on an awesome performance against the Nets with 32 points and 11 assists. With Harden on the team, Paul sometimes fades to the background until he’s needed. This time around, Paul stepped up to control the Rockets the entire game. It was a vintage performance from one of the game’s best point guards. He owned the midrange, popping jumpers, whizzing by defenders forcing mismatches and lobbing pinpoint passes to his teammates. With Paul running the show, Clint Capela, Eric Gordon and Carmelo Anthony all finished above the 20-point mark. Sure, it’s “only” the Nets and the Rockets should have beat them without Harden. But the way things were going for the Rockets, no team was an “only” for them. With Harden set to make a return in the next few games, the Rockets can use this win against the Nets as jet fuel to rise back up the standings. The Warriors were hosting the Timberwolves in a match-up for two supposed Playoff teams. But Golden State showed Minnesota that they were a completely different animal. There would be no magical performance from Derrick Rose or any of the Timberwolves in this game. The Warriors shut down their opponents while putting on a show on the offensive end. Kevin Durant led all scorers with 33 points. He also added 13 rebounds, a very Durant line. Steph Curry scored 28 points with four treys. He also had nine rebounds and seven assists, a very Curry line. Klay Thompson added 22 points on four treys, also a very Thompson line. Draymond Green flirted with a triple-double with nine points, nine rebounds and 11 assists, again, a very Green line. Most of the games this season, this will be what you get from the Warriors. They’ll put up their usual numbers and the team will cruise to the win. But you don’t watch the Warriors for their median. You watch them for the occasional or, for this season, usual moments of transcendence. The Thunder get back to .500 with their fourth straight win. It was a dominant display by OKC. Five players got to double-figures led by 23 points and 12 assists from Russell Westbrook. Jerami Grant had 22 points and Paul George added 17. Sure, the Thunder played well. But the Wizards also looked completely awful. They gave up 44 points in the second quarter to the Thunder and the game was essentially over at that point. The Wizards players got their numbers. Bradley Beal had 27 points on four treys, John Wall had 19 points and nine assists. Dwight Howard returned to score 20. But those were just empty numbers. The Wizards are now 1-7. They’re basically a veteran, All-Star laden team lounging in the bottom of the standings. This tweet sums up their season best. Washington is a complete and total disaster right now. Also, the Wizards are really bad.